AFA Hate Group's Bryan Fischer: Only God Fearing "Christians" Can Claim First Amendment Rights! 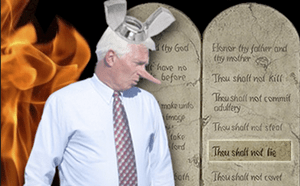 Home/Featured/AFA Hate Group’s Bryan Fischer: Only God Fearing “Christians” Can Claim First Amendment Rights! AFA Hate Group’s Bryan Fischer: Only God Fearing “Christians” Can Claim First Amendment Rights! Tell me, Mr. Batshit Bryan Fischer, what part of that don’t you understand? I think its time for a new term for these radical crazy religious loons. I shall hence call them. Christapo™.